PS: the Calvin Marty song and the Bollywood song are just excerpted on my CD. Just so you know! 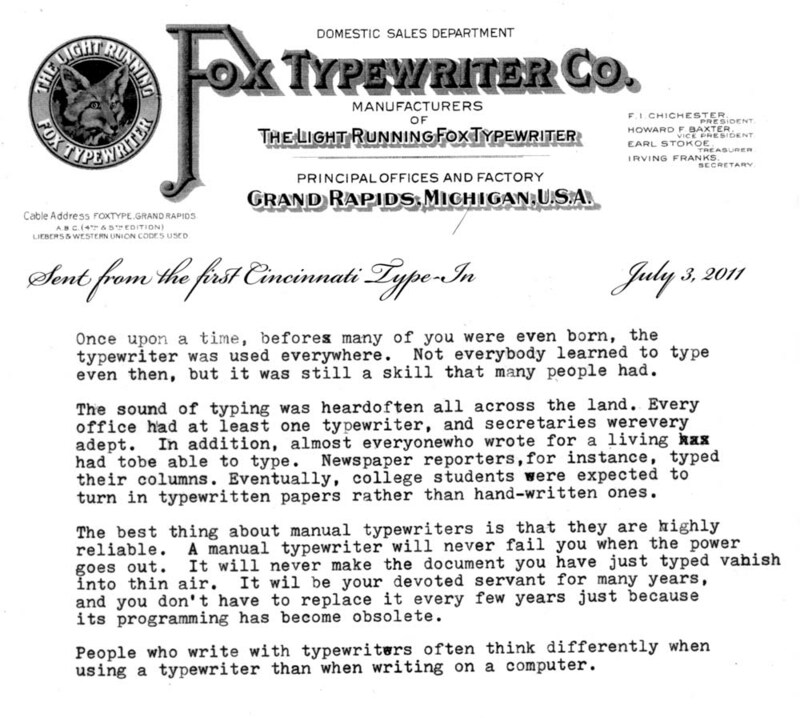 By Cameron's request, here is the Fox stationery from the Cincinnati type-in, along with some other designs we used. All of these were kindly contributed by Peter Weil. He writes a column for ETCetera, "Ephemera," all about the cultural history of typewriters as evidenced in photos, advertising, etc. His next column will be about wonderful letterheads like these. These are high-quality JPEGs, 300 dpi, 8.5 x 11 inches. There is no reference to the type-in on them. If you need other formats, let me know. Ted wanted more photos, and here they are, complete with some links. 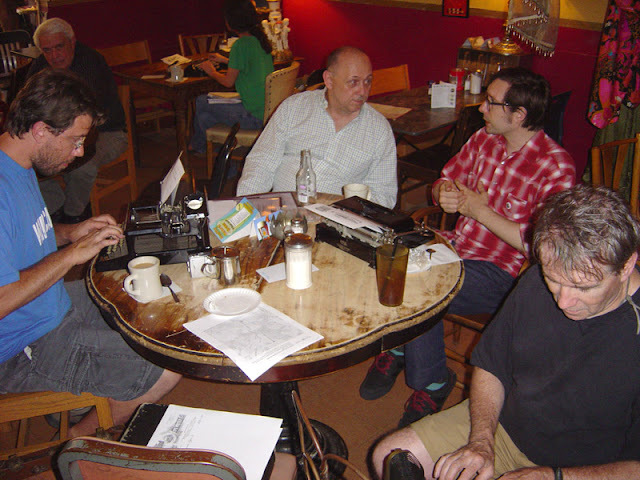 These pics are courtesy of William Lawson (Typecove). 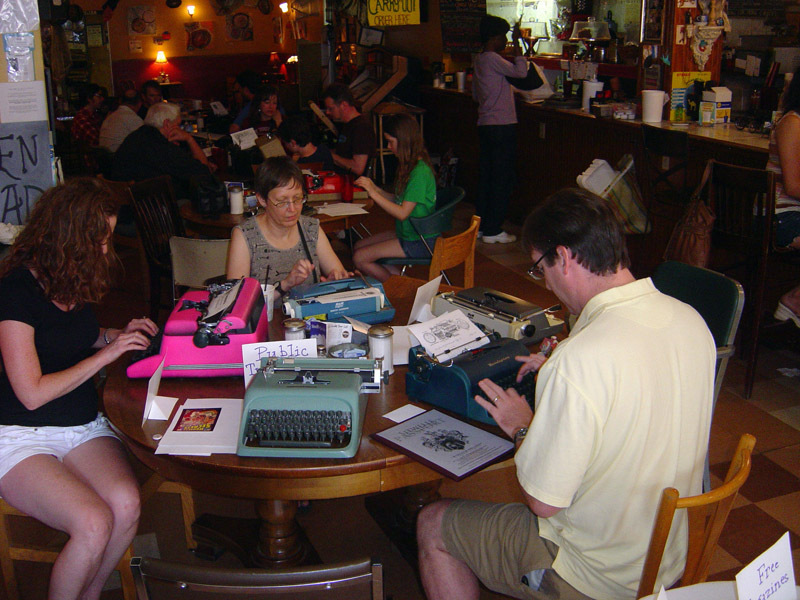 Here are the four public typewriters and the pink SC88 blogging station. Usually there were more people here, but the table was never full. Smith-Corona from the collection of Alan Seaver (Machines of Loving Grace). Mike Brown (typewriter repairman and editor of The Typewriter Exchange -- e-mail typex1@aol.com to subscribe) presents tips on repair and maintenance. 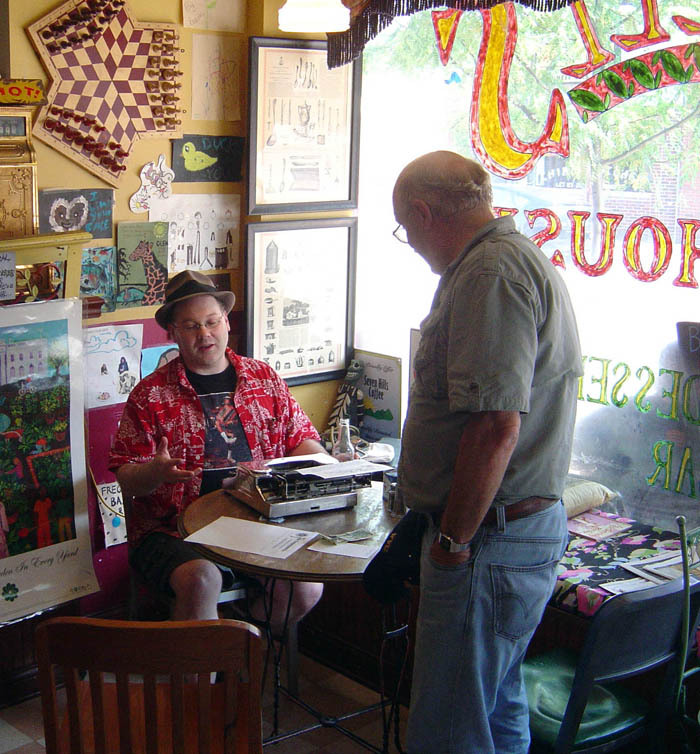 Herman Price (Chestnut Ridge Typewriter Museum) on a maroon Remington Noiseless. Richard Polt using his Groma Kolibri to take notes on Mike's presentation. Marty Rice (Johnstown Type Writer Conservatory) blogging on an Oliver. The Cincinnati Enquirer has published a short news item I wrote on their web site. Don't know whether it will appear in print. 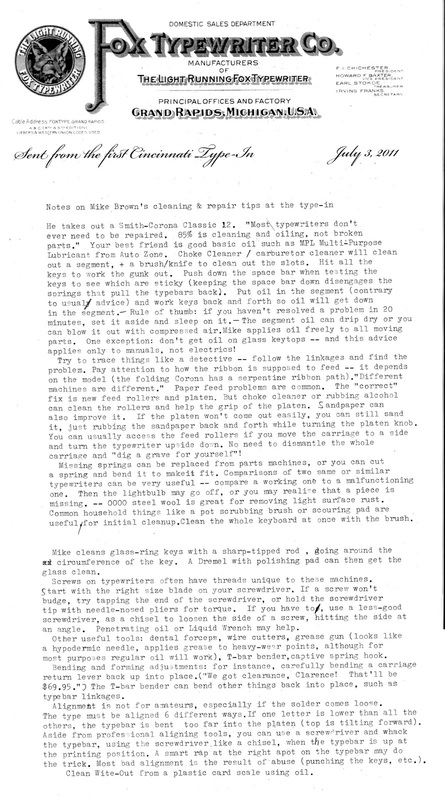 By chance, all the texts you've seen here were typed on the Fox stationery. 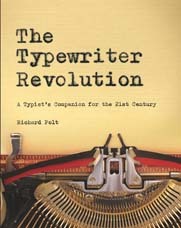 There were actually seven different stationery designs: Fox, Crandall, Bar-Lock, Caligraphic (a New York typewriter dealer in the 1890s), Emerson, Hammond, and Wellington -- all kindly provided by Peter Weil, who's writing an article about letterheads for the next issue of ETCetera. 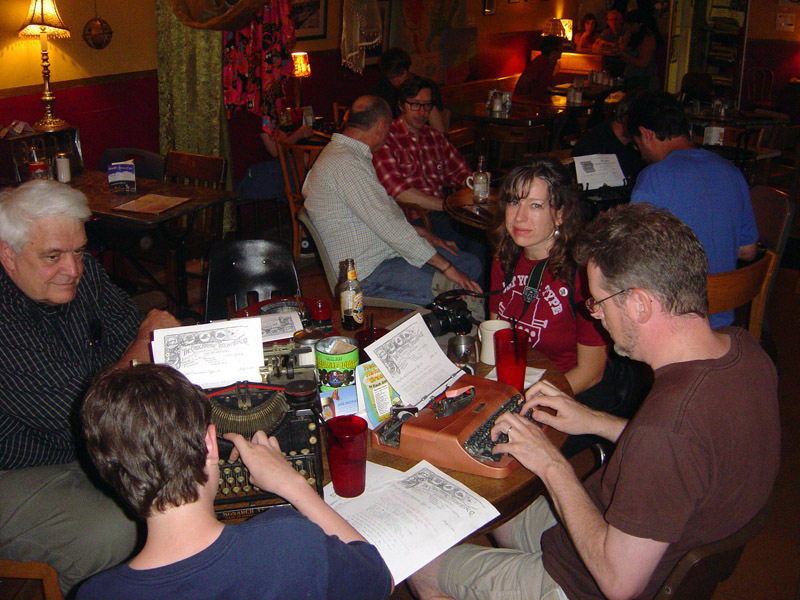 Aside from the type-in, our activities this weekend included a typewriter auction, a 10-minute typing contest (handily won by Matt Cidoni, who participated via Skype), lots of food, and lots of good chat. Photos will follow in due course. It took some wrestling with the scene-stitching software and some self-education about panoramas, but here are the results (I recommend trying the full-screen version).